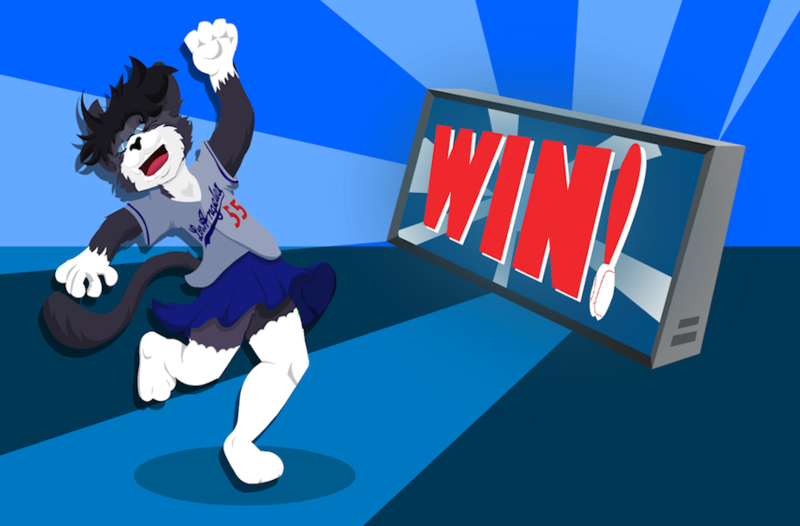 Originally Submitted to FurAffinity.net on Aug 26th, 2011 03:24 PM. Before it was transferred to Inkbunny it had 110 views and 6 favorites. I was lucky enough to snag a spot in foxdarcy 's current round of requests pictures. This is the result of his stream last night. GO DODGERS!